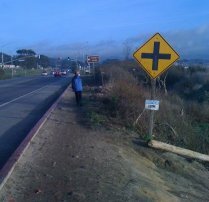 MPL is starting a new "Friends of" group to focus on the California Coastal Trail in our area, in the unincorporated Midcoast from Mirada Surf to Devils Slide. This group will have the role of "Friends of the Midcoast Section of the California Coastal Trail". The Friends group will decide on their activities, but possible tasks could include prioritizing projects for trail segments, helping raise money for specific projects, and helping organize public meetings and discussions. The Midcoast Coastal Trail Friends Group will collaborate with the County-sponsored Midcoast Parks and Recreation Committee. 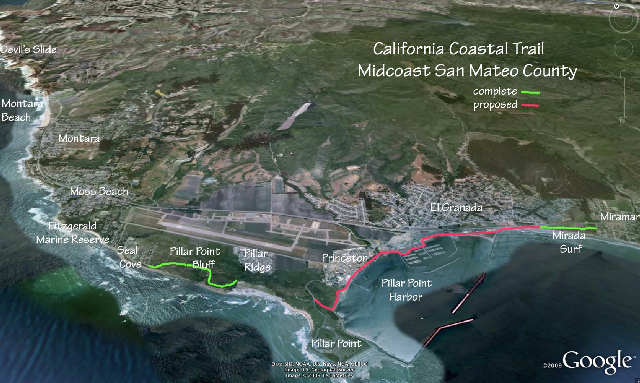 The MPRC Trails Committee has developed a comprehensive report on the possible routes for the CCT in the southern section, from Mirada Surf to Pillar Point. The northern section is next on the list to be examined, and the Friends Group can help map the alternatives for the CCT from Pillar Point to Devils Slide. If you are interested in joining the Friends of the Midcoast Coastal Trail, contact MPL at midcoastparks@gmail.com or come to one of MPL's monthly meetings. At the southern border of El Granada, the recently completed Mirada Surf section of the California Coastal Trail dead-ends in the remains of the western portion of Coronado Ave. Access to the newly paved trail is through an opening in the K-rail that acts as a barrier to the crumbling bluffs that once supported the road. Cyclists and pedestrians heading north to Surfer's Beach then encounter a 400-foot stretch of trail that is narrow, dangerous, and unsightly. 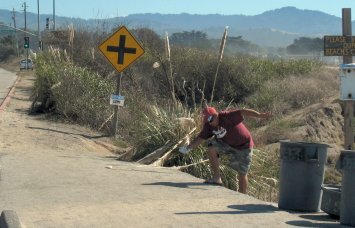 On a path that is heavily used by surfers, beachgoers, and cyclists in both directions, there is a narrow road shoulder and a precarious little trail that skirts encroaching willows and dives down a steep embankment to Surfer's Beach, eventually connecting to the paved trail above the rip-rap. 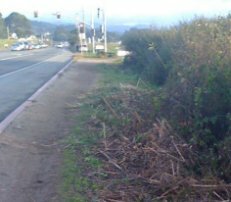 CalTrans has pruned back the willows along the 400-foot stretch: noticeably safer passage! If pruning is performed regularly and gravel put down, a more reasonable trail is within reach. One stretch needs pampas grass removed to keep it clear. 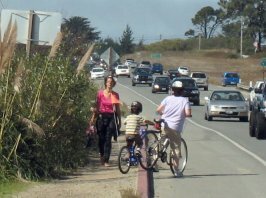 MPL members and volunteers are sending a letter seeking Federal funding to "Fix the 400" - creating safe passage for pedestrians and cyclists along the highway, and improving access to Surfers' Beach.